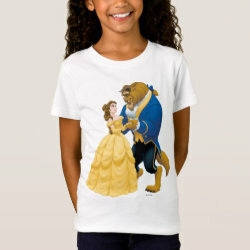 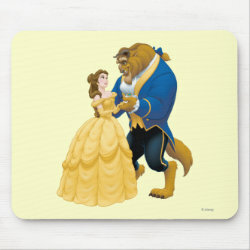 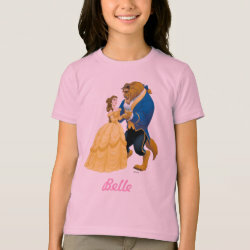 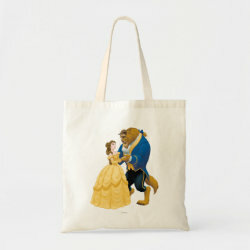 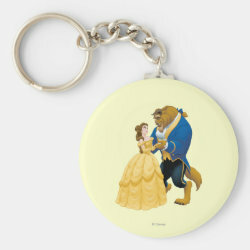 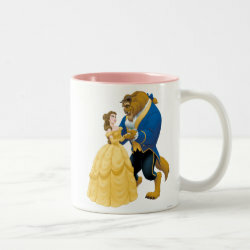 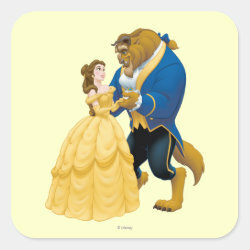 Belle is wearing her golden ball gown as she dances with the Beast in this classic ballroom dance scene from the 1991 hit animated feature film More... Beauty and the Beast. 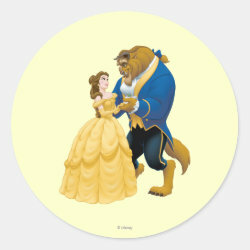 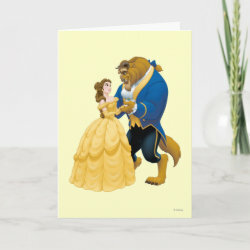 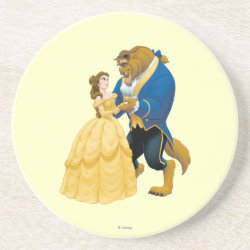 Belle was narrated by Paige O'Hara while Robby Benson voiced the Beast, a handsome prince who was transformed into a hideous beast. 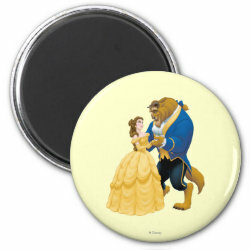 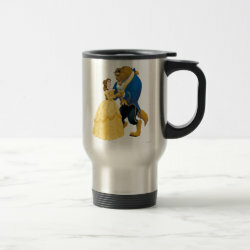 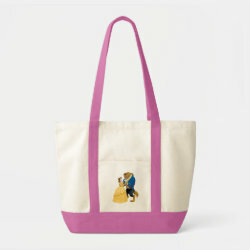 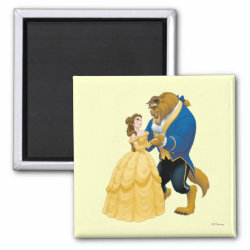 Be our guest and customize these unique gifts with your own background color and personalized texts.